Bluetooth technology has been around since the late 90’s. It became popular with the first mobile phones, keyboard, and mouse. From then on, Bluetooth blossomed into an almost required technology for any type of mobile electronic device. Likewise, as many businesses ranging from small to enterprise-level started using iPads, iPhones, iPods, and other consumer devices to perform business operations, Honeywell started to manufacture hardware devices such as barcode scanners, barcode printers, and sleds to come equipped with Bluetooth technology. While apps have been developed to allow smartphone and tablets to scan items via the camera function, the scanning speed is subpar and there is a large limitation on the amount of barcode symbologies that can be read. Additionally, the Apple iPad, Samsung Galaxy, and other consumer devices are not meant to withstand the rigors of a data capture device like a Bluetooth barcode scanner that is built to withstand multiple drops to concrete. Instead, industries such as retail, healthcare, field services are using the Bluetooth barcode scanner as a means to capture the data and then transmitting that information to their consumer device via Bluetooth. How can Honeywell and Barcodes help? Barcodes, Inc. is the leading provider of data capture solutions in North America. Our team of account professionals have years of experience in the industry and will take the time to understand you and your needs to deliver the best-in-class solutions for your business. Our staff of highly trained and certified architects can provide in-depth industry expertise and assist in offering implementation, integration, training, and on-site services to ensure your project is carried out seamlessly. Honeywell has taken the industry lead in developing and certifying their data capture products with Bluetooth technology that enable you to pair your smartphone or tablet device with a Honeywell data capture device for printing and scanning applications. Honeywell is an innovative manufacturer that offers a wide range of data capture products, such as barcode scanners, mobile computers, RFID readers/sleds, and vehicle mount computers. The demand is growing for devices that are mobile, intelligent, and modern. Together with Barcodes’s Services and Solutions teams, we can help you stay ahead of the technology curve. 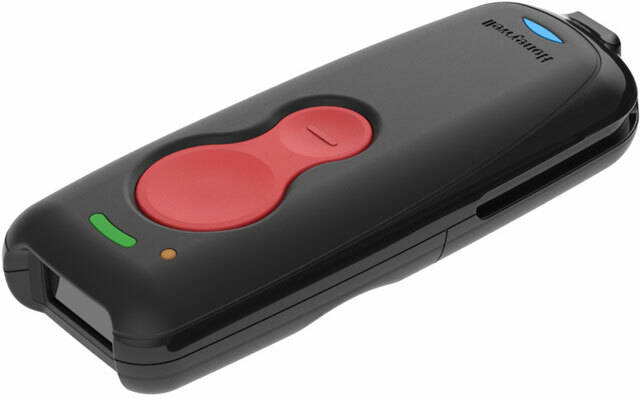 Bluetooth barcode scanners are available that are compatible with your consumer devices. Please contact one of our experts to learn more.